We’re all adults, and I can’t tell you what to do; I can only show you the way I do things, and you can then decide for yourself. I got out of credit card debt in 2017 after over 10 years of using them irresponsibly. This was after paying off as much as I could using the snowball method throughout the year, and then consolidated the rest into a low-cost loan from my bank. This was because my take-home pay was about to be heavily cut (and it still is), and I wouldn’t have been able to keep up the repayments at the rate I was doing it. It was a conscious decision and one I thought long and hard about. I have 9 reasons here why you should ditch cards this year. However, as I said, we’re all adults, and if you’re not ready to take my advice yet, then at least use your credit card responsibly. There are some advantages to holding a credit card, so I’m not totally against them, but what I am against are the widespread bad habits that are associated with them. If you’re new to credit cards, please, please, please be careful. You need to learn a few things first. This is a post is talking about just that. I hope it helps. If I can stop one person getting themselves into overwhelming debt, then I have done my job. Enjoy! Have you been thinking of getting yourself a credit card? Before taking one out, it’s worth considering the pros and cons. Here are some factors consider for anyone thinking of getting a credit card for the first time. Its true, credit cards are convenient. If your car needs a costly repair, a credit card could prevent you having to shop around for a pay-day loan, which on this website we do not endorse! An emergency fund is a far more superior way of handling such unexpected expenses, but until you have this built up, ONE credit card ONLY for emergencies will suffice. Credit card convenience does have its downsides. It’s all too easy to flash the plastic at any given moment and accumulate debt because it doesn’t feel like “real” money. Many shopaholics get themselves into heavy debt and end up having to take out credit card debt relief programs to consolidate and reduce these debts. These are not to be taken lightly, and you should seek professional advice first. To mitigate this, NEVER take your credit card out shopping, BUDGET your money weekly so you never run out, and ONLY use a credit card in an emergency, AND if you can pay it off in full the next month. If you can’t, AT LEAST make sure that it is a 0% interest card. Finally – SHOP AROUND!! Credit is a form of borrowing money from the bank. In return for this, the bank will want a “gift” for lending you the money. This “gift” is taken in the form of HIGH interest rates. This means that they will make you pay MORE for the item you purchased to compensate them for the money you borrowed in the first place (unless you pay it back in the first month). E.g. If you paid £100 for a pair of boots, and didn’t pay it off for a year, a credit card company with an APR of 30% would add on £30 to your purchase, meaning you would need to pay back £130 instead of £100. Now it doesn’t exactly work like that in real life, and credit card companies use something called compounding, so you actually pay interest on a monthly basis while you have outstanding balances. Lets say you have £100 on your card, and the card company charges the APR across the year, so 30% would be 2.5% per month. After month 1, the balance is now £102.5 (assuming you didn’t pay anything off). The next month they charge 2.5% of £102.5. The balance is now £105.06. Doesn’t seem a lot does it? If you keep doing this for 12 months, you’ll actually pay around £133 back – was that purchase worth it? Of course, if you had paid the bill off in full before interest was added in month 1, you would only have paid £100. That said, there are some credit cards that may be interest free for the first few months. Some on balance transfers from another credit or store cards (but you have to pay a fee to do this), some on purchases, and some on both. This is how the companies lure you in and keep you stuck in debt. However, if you’re savvy and sensible, and can trust yourself to make good payments every month, you can take advantage of these zero interest periods, and it can really help when you’re trying to pay down your cards. But if your payments extend over this interest-free period, you’ll have to start paying interest on the balance. Missing a payment may also get rid of this bonus or result in extra fees and can damage your credit score. Credit cards are generally seen as more secure than debit cards, because every transaction is screened, and if there is an issue, you can generally get your money back, especially if fraudulent transactions have occurred. This makes them excellent for certain situations where you may want added security such as paying by card abroad or going online shopping. You still have to make sure you pay off the balance in full every month though, so if you can’t manage this, then don’t have a card. Full stop. One of the big perks to owning a credit card is the potential rewards. If you’re able to spend wisely and pay back your credit card bills on time, this could be very helpful! From shopping vouchers, to money off (or even free) flights. You could really make some savvy gains. Just make sure you’re not paying a yearly fee for the privilege. Some people use 0% credit cards as an investment strategy known as stoozing. Of course, this requires being financially disciplined, otherwise you can lose money really easily. So if this is not you, steer clear. 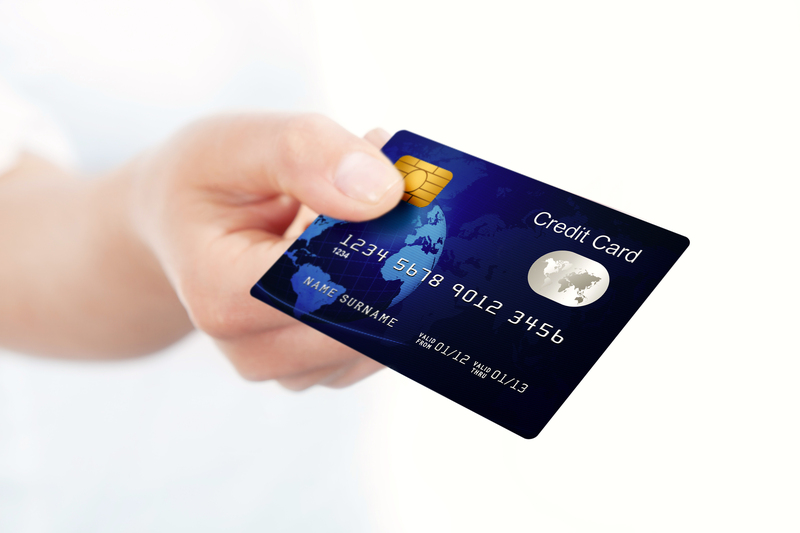 A credit card can have positive or negative affects on your credit score. Every country will have their own agency for checking your credit score. Just make sure its free, and if its not, find another one. These are just a few examples, but a simple google search will help in your own country. Your credit score shows lenders how much they can trust you – having a good credit score can help you with everything from buying a car, to renting property, to taking out a phone contract. If you want to boost your credit score, you may be able to do this with a credit card – just make sure that you have the discipline to pay your debts back on time, otherwise you could further damage your score. It’s a good way of developing a credit score if you’ve never had credit before and now you’re needing a good score to get a mortgage to buy a house for example. Its completely bonkers that you need to use debt to grow a good credit score, but companies want to see that you are responsible with money, and the method they use is how well you pay your loans back. Its completely backwards, but this is how it works. So that’s it for today! What is your experience with credit cards? Are you a stoozer, or do you steer clear of credit altogether? Come and have a chat in our lovely private group over on Facebook.